Omar Al-Ubaydli is the acting director of studies and research at Derasat, as well as the director of economics and energy studies. He previously worked as an assistant professor of economics at George Mason University, USA, as well as being a member of Virginia Governor Bob McDonnell’s Joint Advisory Board of Economists. 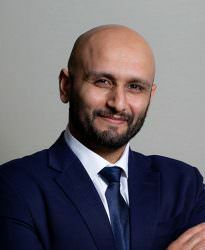 Dr. Al-Ubaydli received his BA in economics from the University of Cambridge (Queens’ College) and his MA and PhD in economics from the University of Chicago. Dr. Al-Ubaydli’s research has been published in several international, peer-reviewed journals and has been featured by media outlets including the Economist magazine.